The Reserve Bank of India released a clarification saying that linking of Aadhaar to the bank account is mandatory under the Prevention of Money-Laundering (Maintenance of Records) Second Amendment Rules, 2017 published in the Official Gazette on 01st June 2017. Kerala government has given green signal to a proposal of the state Startup Mission (KSUM) to accord sabbatical leave to the faculty members of all colleges who intend to establish startups. An expert panel, headed by KSUM CEO Saji Go pinath, will select 10 faculty members on a pilot basis for the implementation of the project. 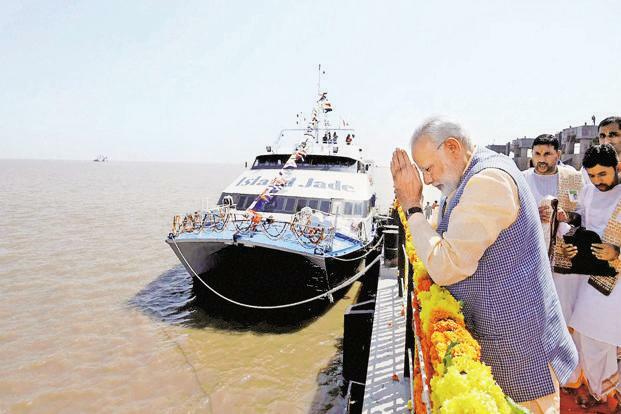 The first phase Ghogha-Dahej Roll-on Roll-off ferry service has been inaugurated by Prime Minister Narendra Modi at Ghogha in Bhavnagar district in Gujarat. With the opening of this 615-cores rupees ferry service, the distance between Saurashtra and South Gujarat regions could be covered in less than an hour via-sea route. making made it mandatory for banks and financial institutions to check the original identification documents of individuals dealing in cash above the prescribed threshold, to weed out the use of forged or fake copies. Please someone help me ….